Jennifer is a graduate of the University of Alberta Physical Therapy Program. Her current clinical interests lie in treating soft tissue injuries and myofascial pain with Intramuscular Stimulation (IMS). 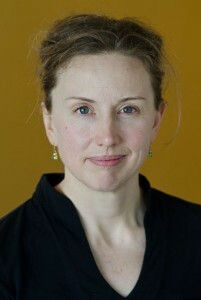 Jennifer is a Fellow of the Canadian Academy of Manipulative Physiotherapists (FCAMPT). She has a special interest in designing stretching and core stability programs for endurance athletes. Jennifer Kolot has received extensive post graduate training in vestibular rehabilitation physiotherapy and is well qualified to treat vertigo, balance and dizziness disorders for patients in the greater Victoria area. Jennifer has been certified by Susan Herdman PT, PhD Director of Vestibular Rehabilitation at Emory University. This is the highest certification for Vestibular Rehabilitation available for Physical Therapists.To read more about how Vestibular Physiotherapy treatments can help you Click Here. Jennifer is a member of the Vestibular Disorders Association. Jennifer Kolot has also received special training and is well qualified to provide physiotherapy treatment for Temporomandibular Joint (TMJ) disorders, also known as TMJ syndrome. This term refers to either acute or chronic inflammation of the temporomandibular joint, which connects the mandible(jaw) to the skull. Symptoms associated with TMJ disorders may include; Jaw pain or tenderness of the jaw, biting or chewing difficulty or discomfort, clicking, popping, or grating sound when opening or closing the mouth, neck and shoulder pain, dull, aching pain in the face, reduced ability to open or close the mouth, earaches, headaches, tinnitus and migraines. Jennifer Kolot is an experienced and Certified Gunn Intramuscular Stimulation (IMS) Practitioner. She treats patients at our downtown Cook Street Victoria Physiotherapy clinic located at 308-1175 Cook Street, Victoria, BC, V8V 4A1. Jennifer is accepting new patients. To book an appointment with Jennifer please call the downtown physiotherapy clinic at 250-381-9828. Unfortunately, Jennifer does not provide treatment for WorksafeBC claims. In her spare time, Jennifer enjoys competitive long distance running and organic gardening.